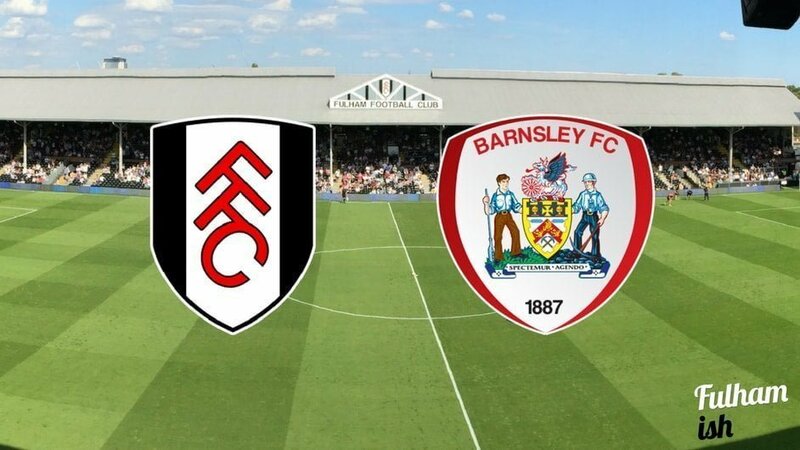 A massive home game for Fulham this Saturday as the Whites take on high-flying Barnsley, in a battle of two teams looking upwards to the playoff spots. Whilst the Whites took a convincing three points from the reverse fixture at Oakwell, the Tykes have been flying since a bad patch that stretched across October and November, with five wins in their last seven Championship fixtures. The return of skipper Conor Hourihane and the free scoring form of Sam Winnall have been crucial to that success, and it’s credit to both players (and bad news for Barnsley fans) that they have been linked with moves away in this window. Winnall, in fact, might no longer be a Barnsley player come Saturday, with a move to Sheffield Wednesday in the offing as this is written. Fulham’s lack of an out-and-out striker continues to be a problem, with no resolution in sight to #Chrexit, and as such, making sure the ball sticks up top and doesn’t keep boomeranging back at the defence will have to be the mainstay of the midfield – but with our possession record, you can’t foresee this being too much of a problem. The lack of Ayité and Kebano means that there might be a place for the recalled George Williams on the bench, whilst Jozabed (despite the loan rumours) is another that could get minutes in the stead of the two AFCON absentees. Whilst Fulham have played well recently, the loss against Brighton was hard to take and the moment has come where the Whites need to start taking their chances, and the points, in games they dominate, if the playoff push is to materialise. Nothing but a win will do. Whilst the Chris Martin situation rumbles on, the main debate is whether Slavisa will stick Matt Smith up top or have a rotating front system where Aluko & Piazon head up the diamond, with the possibility even of Tom Cairney playing as a false 9. In the same vein, there’s talk that a similar 3-4-2-1 system to that used at Cardiff, might be utilised again, with Odoi in a more central role and Fredericks and Malone giving the team width on the flanks, allowing Piazon a more central berth alongside Cairney. Barnsley’s midfield general is highly rated by many experts around the country, with his recent form granting him an international call-up for the Republic of Ireland. If McDonald can stifle the Irishman’s creative impetus, it will shut down the hub of Barnsley’s attacking play, and should curb their threat somewhat. Whilst Fulham’s possession dominance doesn’t always equal goals, the visibly hurt reaction of many Fulham players after the Brighton game suggests they know that the buck has to stop now, and that points are necessary if there is going to be a playoff push. With the Winnall situation up in the air, chances are that Barnsley’s star striker may not be available, and for that reason, we’re going to go with a comfortable 3-0 home win.